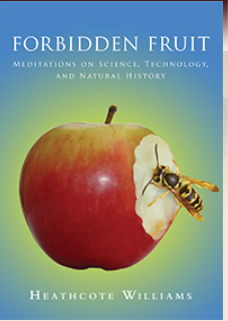 This entry was posted on 15 December, 2011 in homepage, Uncategorized and tagged Forbidden Fruit, Heathcote Williams, Huxley Scientific. Bookmark the permalink. A work of genius – and a breakthrough. Possibly for the first time, science and art embrace in a beautiful fusion to elevate human thought and existence.